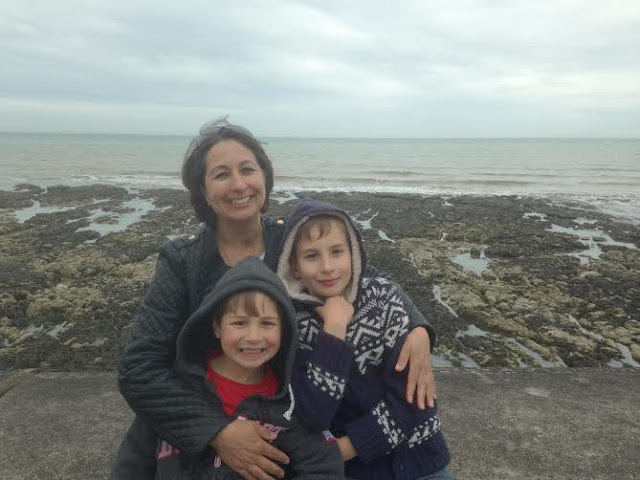 Older Single Mum: Top Tips for Being a Single Parent. Top Tips for Being a Single Parent. Rarely do we choose to go it alone. Everyone has a story behind why they ended up doing so. It's tough, it really is, but always for reasons that you might not have thought of before you find yourself (or your friend finds herself / himself) bringing up children solo - for most of the time, at least. What really helped me was my divorced friends. They are the ones that understand the relentlessness, the loneliness and the never-ending emotional support required for the kids as they age and ask increasingly insightful questions that demand clever and careful, but honest, answers. They know that these conversations occur around 11pm when one child or another has woken disturbed with yet another bad dream and that you're already exhausted, but still have to find the compassion, the sensitivity and the energy to deal with them. Again. And that the children never really come to terms with our family being 'different' to their most of their mates'. It hurts, it undoubtedly does, but the buck stops with you now, so you've got to get on with it. And even if and when you're brave enough to choose to co-habit with someone new and wonderful in the future, there is some stuff that will always be down to you to heal. You'll come to treasure this time - honestly - when it's just you and them. You'll have intense and unimpenetrable life-long bonds. There are lots of advantages to autonomy and not being undermined by someone else. The chances are that the end of your marriage / partnership has been years in the making and, looking back, that will become clearer. In time, you will become grateful that you are no longer alone within a relationship - because that is hell on earth. Those who suffer the shock of a sudden or prolongued bereavement endure a different type of hell. They don't get the relief that sets in post separation. It is a shame and unfair that the brightest stars die out the fastest and that the rest of us are left with the selfish, the stupid and the sociopaths, but that's the way it is, sometimes. We still have to get on with it. Those that think of leaving their spouses don't do it easily. They wonder whether the grass will be greener for a long while before breaking out. In my case, it was gloriously so. For others, it isn't. Many dilly dally or daren't run the risk of finding out, but what suits your children best, regardless, is happy parents. Here are my tips for if you suddenly find yourself a single mum or dad. Or even if you are thinking about becoming one. 1) Pace yourself. You are the most important thing in your child's world. You are the sun around which the little planet they live on in their heads revolves. You need to be strong and secure. Running around stressed out of your own serves no-one. 2) Conflict is damaging. Keeping communication going with your ex is key. Even if it's via a solicitor (quite advisable in the early days, often). As much as you might loathe him / her, they're part of the long-term picture. You may as well get used to that, but, be warned - if they were an unreasonable so and so before your split, they sure as eggs are eggs will remain so now. Keep all conflict - and it's quite likely there will be some - away from the kids. 3) Lay off the wine. (*Stares at re-cycling and slaps self.*). It's very easy to use it as a crutch and most of us consume more than our fair share. However, highly preferable and heaps healthier is a beautiful bath and an early night. A) Alcohol is expensive B) It makes us tetchy C) It is a stimulant, will keep us awake, dehydrate us and result in us being us even more tired. It has its time and place - just use it more wisely than some of us who don't necessarily always practise what we preach. *Cough. * Sleep is a better ally. 4) Money is a biggie. This will probably be the hardest adjustment for all concerned. You'll be amazed at how you used to flash your cash before and wince. No matter how many zillions you have between you, it is seldom a smooth move from joint to not. My ex gave up work and didn't give us a penny, but that's because he's selfish, stupid and a sociopath - i.e. at the other end of the scale. Most men are fair and decent but won't wish to understand that the home still costs almost as much to run as it did when he lived there. The kids come first and it's worth fighting for them growing up without a chip on their shoulder. They might have to make adjustments too though. Everyone pays somehow. 5) Find some solidarity. Some people turn to books. Others turn to on-line friends, to their real-life ones and to family. Anyone who has been through something similar will help no end. To feel understood and heard can be truly therapeutic. What is generally underestimated is the length of time the pain of a split, the depth of it and the effects of it, can be. Talk, be open and try to obtain some professional counselling if you can. That kind of thing seriously moves you on. 6) Make things easier for yourself. Pay people if you can afford it. There is no shame in staying sane. Employing a cleaner - even once a fortnight - can make a real difference to how fraught you might feel. Learn to bleed your radiators and how to change a loo seat if you like, but let someone else mow the lawn and do your windows. You need to protect your precious energy in order to be able to handle all the emotions flying between you all! Your children will be grown up in a flash and you don't want to look back and see yourself screaming at them while you're throwing the hoover around in a rage. Rope in your friends / family / neighbours if and where possible. 7) Take one day at a time. This is the best advice I was ever given. Don't scare yourself by looking to the future - it's an unknown entity. Get yourself through the day. Give yourself credit for all the things you have achieved, rather than upsetting yourself with the things you just wish you had. Lower your expectations of yourself, but keep your hopes high. You're on a long road. If you are a man you will be hailed as a hero. You are no less one if you are a woman, but some people may prefer to pick you apart. Ignore them. They are not there when you're weeping because your kids are in the middle of the night. They don't see the copious, second-nature sacrifices you make. They have no idea how hard things are. The last thing you need is yet more selfishness or stupidity to contend with and you can't spare the time from your herculean task overload for it. An offer of help would be much more appropriate, so their attitude says far more about them than it does about you. Each situation is unique and we can only do our very best. The children will love having you to themselves and, eventually, despite your shattered self-esteem and decimated heart, you'll find you 'can do' becoming a single parent. It will be rewarding, worth it and quite probably, the making of you. See mine below - sorry missed the spot! Thank you so much for this Anya. As someone just having to start learning the ropes, you've reinforced some things I am beginning to realise about single motherhood - and enlightened me on others. Having considered getting a cleaner, I am now definitely going to start looking for one - even if I can only afford someone once in a while. Cleaning is not my strong point and I'll happily forego some of life's luxuries to pay someone else to scrub the bathroom. The solidarity I've had from the blogging community has been incredible, and I will continue to lean on those who are willing to support me through the most difficult times. Knowing strong women like yourself are out there makes me feel hopeful for the future for me and the kids. I'm almost 12 months into my single parenting journey, and although I have days when I struggle, I am happier than ever. I love that we have this incredibly strong bond and that I can decide about our life. What I have learned over the last couple of months though is that it's okay to ask for and accept help from friends and family, because you do need time to be yourself to stay sane and be the best parent you can be. Thank you for your contribution Carolin - staying sane is the single most important thing and asking for help is always awkward but most people are really happy to! Learn to say no to a social event if you can't afford the babysitter, the cost, the gift, the petrol, etc. Just say no and don't feel guilty. I admit I sometimes make a fictitious excuse but at least I now don't go when I want or need that money for something else. That's really good advice Rachel, thank you - about the not feeling guilty too. We have to prioritise in a way that others can't imagine! Remind yourself that 'living well is the best revenge' - following all seven points above and carrying on with whatever dignity you can muster is, ultimately, far more satisfying than downing a bottle of wine and sending 350 bitter text messages to your ex. Trust me, I know! Brilliant post Anya. Ha - such a good point! Dignity is so important - and almost impossible to retrieve after losing it! Thank you - that's really good advice too. I think single mums are the unsung heroes of our society! I have so much respect for them. Huge respect to all the single mums and dads out there... I have no idea how you keep going! Great thought provoking post. The reason i looked online and started blogging myself was to read about other single parents and how to get theough it not just for me but for my son also. Newly single (few weeks) and a newish mum my sons now 14 weeks. I find at the moment i feel like im doing pretty well ive accepted it and have alot of support luckily. The first few days the hardest literally feeling like my life was over not far off 30yrs old new baby and ALONE pleased to say that feeling didnt last more than a couple of days you dont really have time to dwell and self pity to much with a baby around. People have been great..i get alot of what a ****...who could walk away from a child comments from people i know so i think as a single parent especially to a child so young people do feel pity but like i said the support has been amazing so far and the blogs ive read confirm it is possible ..you can be a single parent...be happy..and raise happy kids.